I’m crazy about typography and word art! 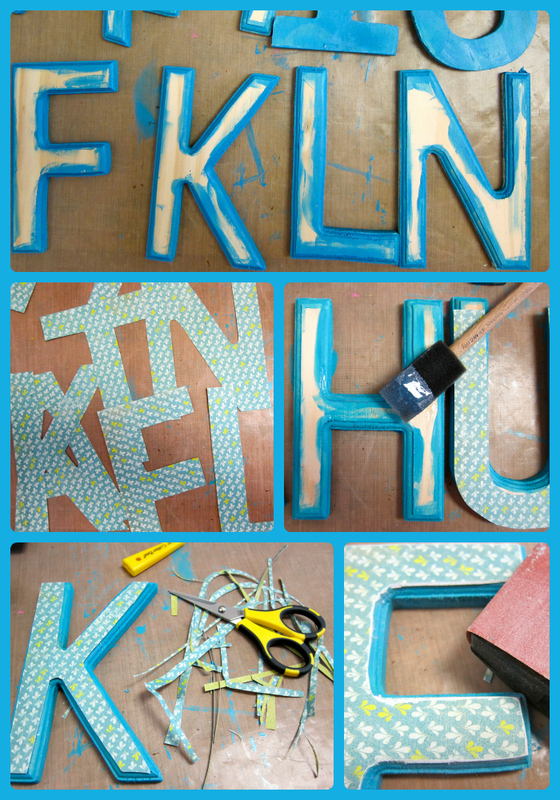 Unfinished wood letters are the perfect base for creating a lot of different projects. 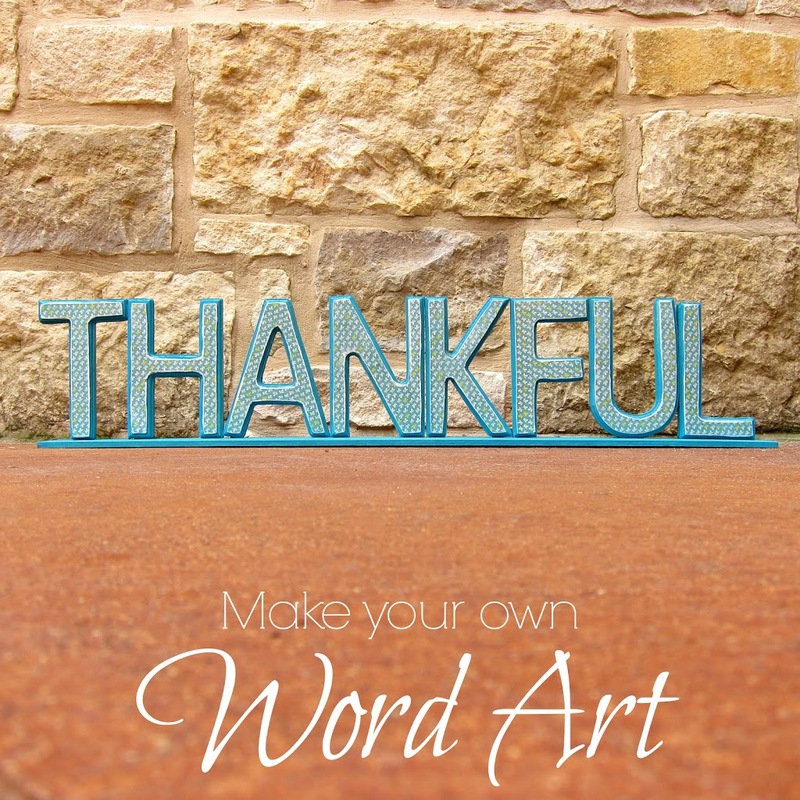 In this craft, I used 6 inch letters to create word art that would be perfect for a mantle or as a centerpiece. I chose the word “thankful” for Thanksgiving. Step one: Paint the letters and the wood board. Step two: Trace the letters onto the paper and cut out. The paper will be slightly larger than the front of the letter. 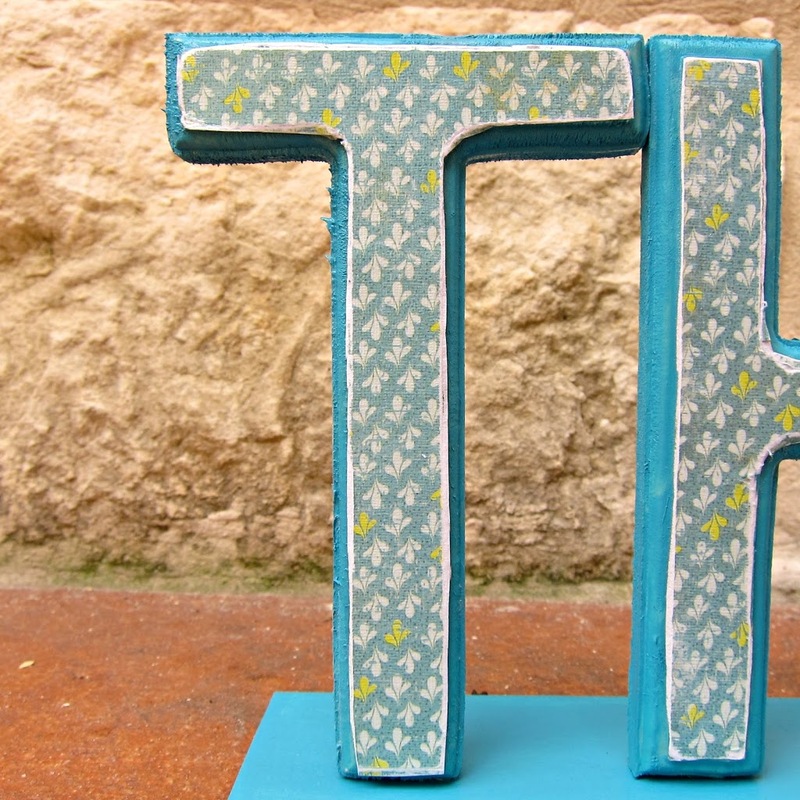 Step three: Apply Mod Podge to the front of the wood letter, and press the paper on. Allow it to dry. Step four: Trim the excess paper off the wood letter, and sand the edges. Seal with Mod Podge. I’m really excited about the way my word art turned out. It’s a great piece not just for Thanksgiving, but year round. I didn’t use traditional fall colors, opting to match my living room color scheme, instead. That’s the beauty if doing it yourself: you’re not limited to what’s on the store shelf, you can make whatever you imagine! This post first appeared at Crafts Unleashed, where I am part of the Design Team. Next articleI’ve Got Golden Scissors to Give Away!